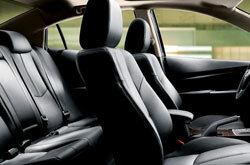 2013 Mazda Mazda6 research and review from Joe Myers Mazda, The trusted resource. Where do we get these Mazda6 reviews? From prominent writers in their industry. Make versed decisions when it comes to your next auto purchase, don't take guesses! Each paragraph is packed with facts and vehicle features in way that's easy to understand. 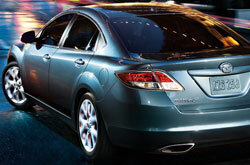 Does the Mazda6 have your name on it? Read more and find out! When comparing the 2013 Mazda Mazda6 head-to-head with the 2013 Nissan Altima, Toyota Camry, Honda Accord and the Ford Fusion, and you'll realize that the Mazda6 out does those autos in various aspects. Browse just a few of the reasons below. Don't wander to a national car repair shop in Houston when Joe Myers Mazda's amazing Mazda6 experts are only a brief trek away from where you live. We also supply a full year warranty on our jobs - more than most national shops do. Joe Myers Mazda's qualified mechanics will keep your Mazda6 in robust shape. From hard duties like electronics repair to less laborious jobs like timing belt replacement and simple common multi-point inspections, our Mazda repair veterans do it all. Beyond this, Joe Myers Mazda's always got fair prices on Mazda repairs in Houston, even for simple OEM recommended maintenances. Take a look below to view money-saving service specials.